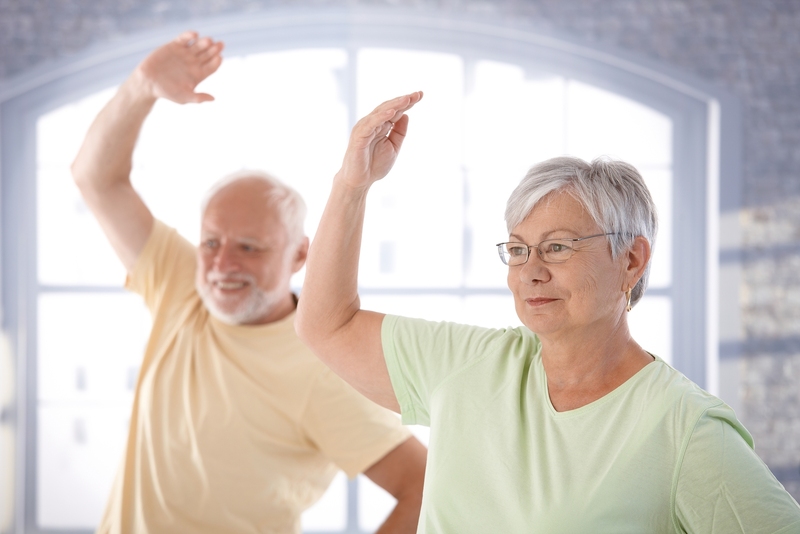 Do You Know What Exercises Can Ease Arthritis Symptoms? If you suffer from arthritis you’ll know how painful and frustrating it can be. There are various types of arthritis, with different causes, but the most common in the UK is osteoarthritis. This is caused by a gradual wearing down of the cartilage in the joints, the Express explained, and the newspaper noted that there are a number of different types of exercise you should be incorporating into your routine to help alleviate the symptoms. Range-of-motion (ROM) exercises can be especially beneficial, as they can help ease joint stiffness. Stretching exercises are also important to help keep your joints and the rest of your body in good shape. Ideally, you should hold each stretch for 15 to 30 seconds and make sure you’re stretching at least three to five days a week. The newspaper also highlighted the importance of strengthening exercises and aerobic exercise in your routine. When it comes to the latter, walking, aquatic exercises, cycling and aerobic dance were recommended. However, there’s one form of exercise that many people forget about – body awareness exercises. According to the American College of Rheumatology, this includes “activities to improve posture, balance, joint position sense [proprioception], coordination and relaxation”. Of course, you may also want to think about making simple adaptations to your home to enable you to live as independent a life as possible. This could include installing walk in baths in your home. Earlier this year, Arthritis Research UK revealed that many people suffering from the condition in the UK are missing out on government help to make such adaptations. According to its research, 80 per cent of those who are eligible for this support are failing to claim it.